So far we have worked with the most essential concepts of Python: variables, data structures, built-in functions and methods, for loops, and if statements. These are all parts of the core semantics of the language. But this is far from everything that Python knows… actually this is just the very beginning and the exciting stuff is yet to come. Because Python also has tons of modules and packages that we can import into our projects… What does this mean? In this article I’ll give you an intro: I’ll show you the Python import statement and the most important built-in modules that you have to know for data science! Okay, so what is the import statement and why is it so important? So far we have played around with the base elements of our LEGO playset. 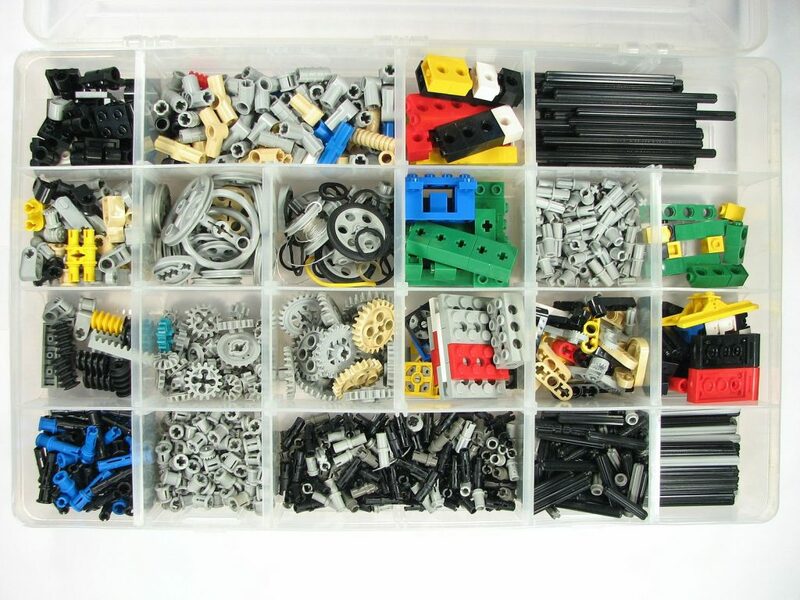 But if you want to build something complex, you have to use more advanced tools. If you use import, you can get access to the advanced Python “tools” (they are called modules). You can get these really easily because they come with Python3 by default. You simply have to type import and the name of the module – and from that point on you can use the given module in your code. In this article, I’ll show you exactly how to do that in detail. There are modules that are not part of the standard library. For these, you have to install new packages to your data server first. You will see that for data science we are using many of these “external” packages. (The ones you might have heard about are pandas, numpy, matplotlib, scikit-learn, etc.) I’ll get back to this topic in another article. Anyway, import is a really powerful concept in Python – because with that you’ll be able to expand your toolset continuously and almost infinitely when you are dealing with different data science challenges. Note: This will import the entire module with all items in it. You can import only a part of the module, too: from [module_name] import [item_name]. But let’s not complicate things with that yet. Let’s see the five built-in modules one by one! Randomization is very important in data science… just think about experimenting and A/B testing! If you import the random module, you can generate random numbers by various rules. This will generate a random float between 0 and 1. This will generate a random integer between 1 and 10. Learn more about random: here. If randomization is important, statistics is inevitable! Learn more about the statistics module here. There are a few functions that are under the umbrella of math rather than statistics. So there is a separate module for that. This contains factorial, power, and logarithmic functions, but also some trigonometry and constants. Learn more about math module here. Do you plan to work for an online startup? Then you will probably encounter lot of data logs. And the heart of a data log is the datetime. Python3, by default, does not handle dates and times, but if you import the datetime module, you will get access to these functions, too. “csv” stands for “comma-separated values” and it’s one of the most common file formats for plain text data logs. So you definitely have to know how to open a .csv file in Python. There is a certain way to do that – just follow this example. As you can see, it returned Python lists. So with the list selection features and with the list methods that we have learned previously, you can also break down and restructure this data. Learn more about the csv module: here. This is a good start but far from the whole list of the Python built-in modules. With other modules you can zip and unzip files, scrape websites, send emails, encode and decode JSON files and do a lot of other exciting things. If you want to take a look at the whole list, check out the Python Standard Library which is part of the original Python documentation. And, as I mentioned, there are other Python libraries and packages that are not part of the standard library (like pandas, numpy, scipy, etc.) – I’ll write more about them soon! Now that you have seen how import works, let’s talk briefly about the syntax! Usually, in Python scripts, we put all the import statements at the beginning of our script. Why is that? To see what modules our script relies on. Also, to make sure that the modules will be imported before we need to apply them. So keep this advice in mind: import statements come at the beginning of your Python scripts. csv.reader(csvfile, delimiter=';')This is logical: before you apply a given function, you have to tell Python in which module to find it.In some cases there are even more complicated relationships – like functions of classes in a module (eg. datetime.datetime.now()) but let’s not confuse yourself with that for now. My suggestion is to make a list of your favorite modules and functions and learn how they work; if you need a new one, check out the original Python documentation and add the new module plus its function to your list. you have to refer to your module as stat. Eg. 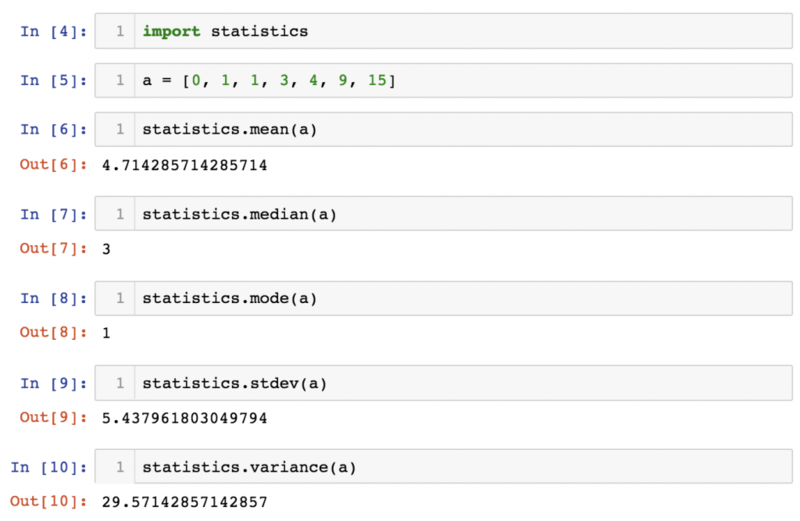 stat.median(a) and not as statistics.median(a).Conventionally, we are using two very well-known data science related Python libraries imported with their shortened name: numpy (import numpy as np) and pandas (import pandas as pd). I’ll get back to this in another article! So what’s the name of it? Package? Module? Function? Library? When I first encountered this import concept, I had a hard time understanding what exactly I was importing. 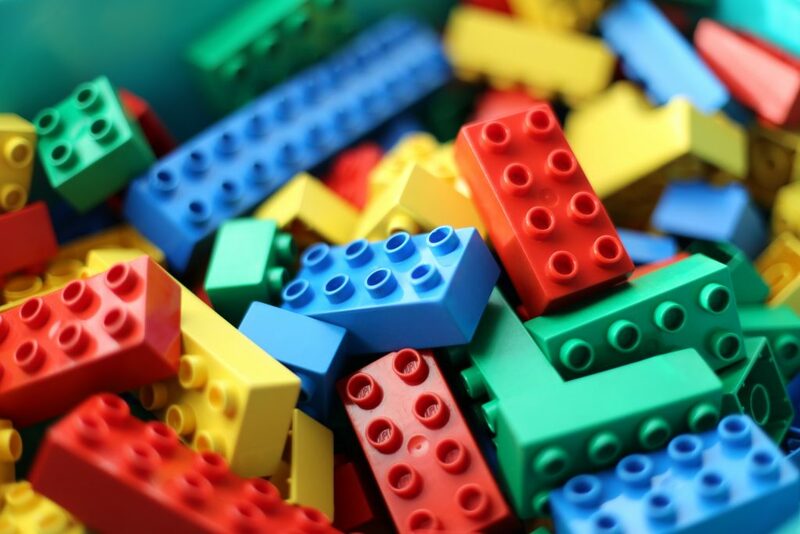 In some cases these things were referred as “modules”, some cases as “packages”, in other cases as “functions”, and sometimes as “libraries”. Note: Even if you check numpy and pandas – the two most popular data science related python libraries (or packages??). One is called library, the other is called a package. Truth be told, I’m not a big fan of academical or theoretical questions in programming, like how we name things. But I have to admit that if you want to keep up a meaningful discussion with a developer (or even just ask a question on Stackoverflow), you have to have at least a clue about what is what. Function: it’s a block of code that you can (re-)use by calling it with a keyword. Eg. print() is a function. Module: it’s a .py file that contains a list of functions (it can also contain variables and classes). Eg. in statistics.mean(a), mean is a function that is found in the statistics module. Package: it’s a collection of Python modules. Eg. numpy.random.randint(2, size=10) randint() is a function in the random module of the numpy package. Library: it’s a more general term for a collection of Python codes. The best answers I found on this topic are below this Stackoverflow question. import is an essential and powerful concept within Python. The more you learn about data science, the better you will understand that you will have to continuously expand your toolset for the different challenges you will face. import is the ultimate tool for that. It opens up thousands of new doors. In my upcoming articles I’ll introduce the most important Python libraries and packages you have to know as a data scientist!